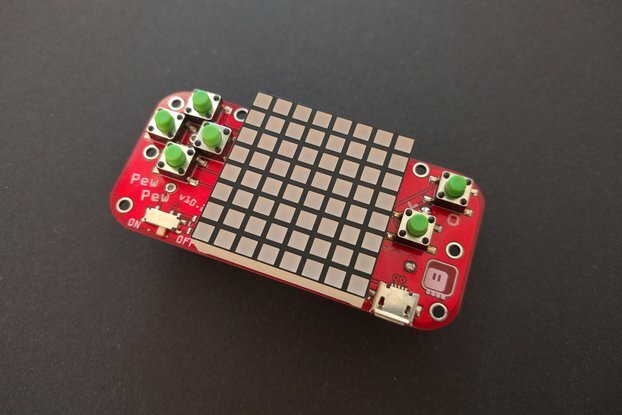 A handheld game console programmable with python. This is not a toy, and it's not meant for children. It's a prototype kit. 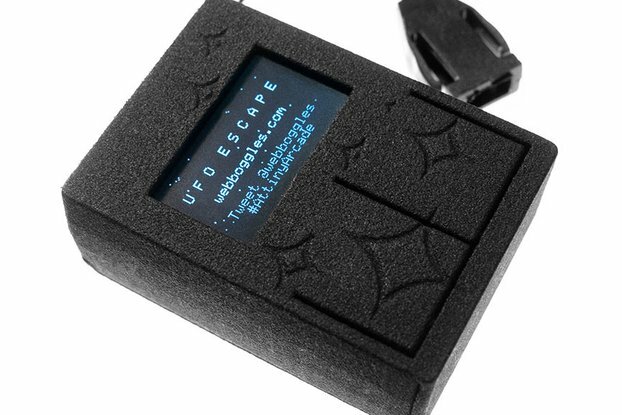 You have to partially assemble it yourself (solder two wires for the battery and attach the display), it has no case (unless you make one yourself), and it has not been tested for safety. Also, there are only a few example games available for it at the moment, so don't buy it if you don't plan on writing your own games. It's possible that with enough interest there will at some point be a "finished" version of this, sold as a ready product. But that requires a lot of extra work and time, so I'm making those prototypes available for the hobbyists right now. 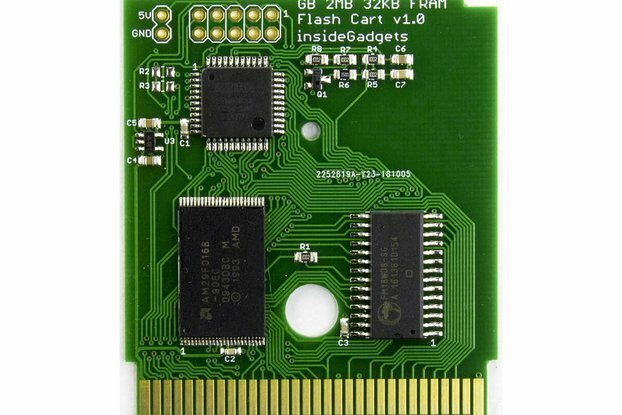 µGame is a tiny little game console, for which you can write your own games. Ever wanted to make your own games, but it was too hard? Want to learn programming in Python, but it's too boring? This kit is for you. 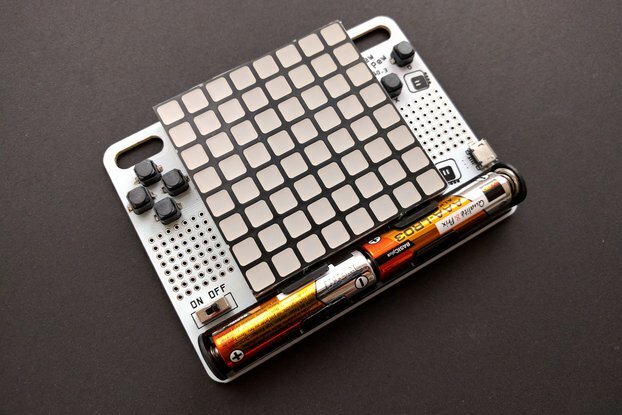 Just attach the display, add a battery, maybe make your own case — and you can start making games. 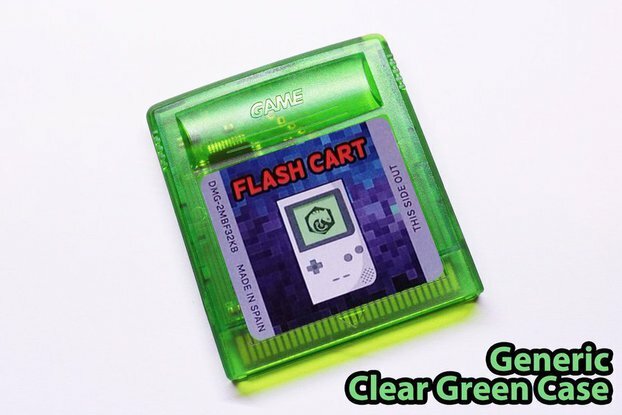 Since µGame shows up as a USB disk drive, there is no need to install any software, drivers or other programs. You can just copy your source code directly onto it, or even edit it in place — µGame will automatically restart when it detects a change, and run your new program. The Python programming language is perfect for learning, but it's hard to create games with it and show them to your friends. There is a lot of up-front work that needs to be done installing and configuring everything on every computer on which you want to run your game. I wanted to remove all the obstacles and make it possible to just connect the device to your computer and start writing code right away. Then, to show it to your friends, you just disconnect it and take it with you. Since all the source code is on the device, you can work on your game anywhere there is a computer. 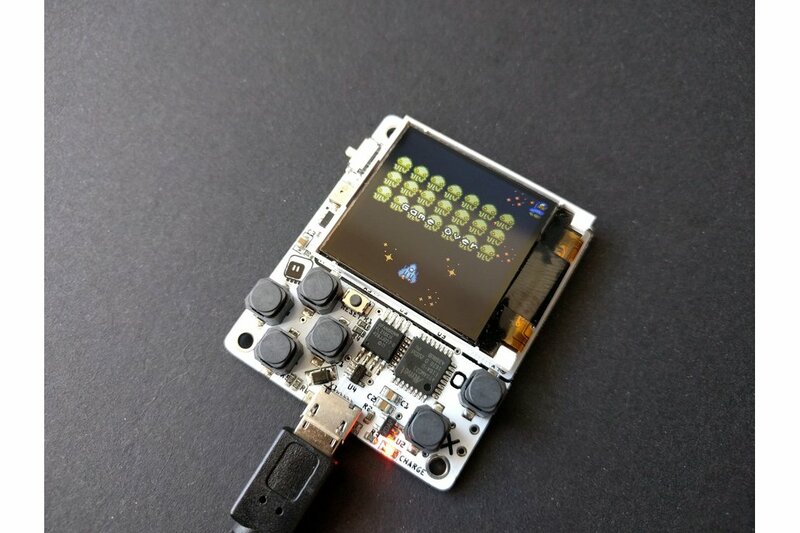 There is a number of simple game consoles available on the market today: Arduboy, Gamebuino, Pokitto, etc. 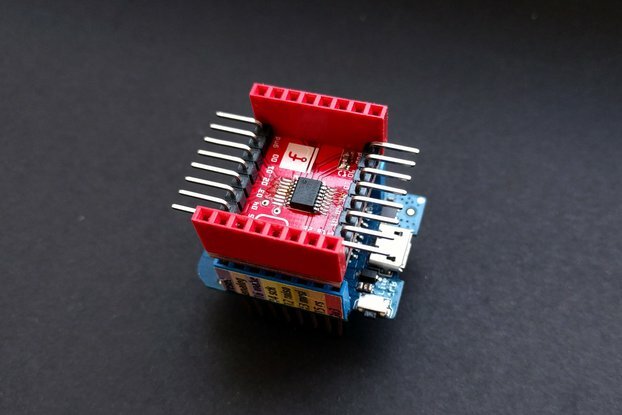 — they are all very similar, giving you a screen, buttons, speaker and a microcontroller to program. However, the main difference is how they are programmed. You have to learn C++ or Assembly, you have to install the development environment: the IDE, the compiler, the flashing software. You have to get your programs to compile before you can flash them, and then guess what is wrong with them when they don't work as expected once flashed. The C++ (even in its Arduino version) is demanding and difficult to learn. µGame uses a different approach. 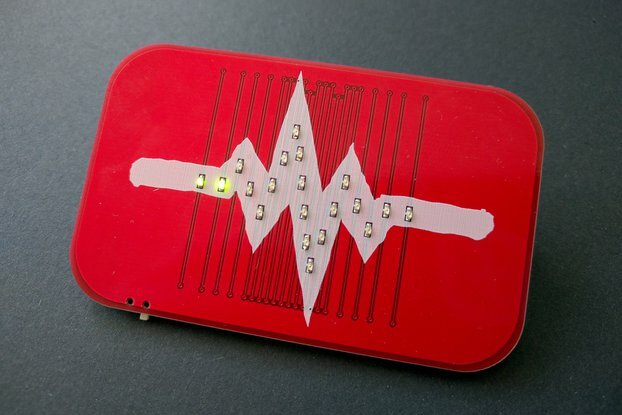 It is running Adafruit's CircuitPython — a version of Python that runs without an operating system. It executes your programs directly, without you having to compile or flash them. You can even try your code live in an interactive serial console to experiment quickly. A built-in tile and sprite engine lets you use BMP files for graphic elements of your game. Several banks of ready-to-use graphics let you prototype your game easily, before replacing them with custom graphics of your own. 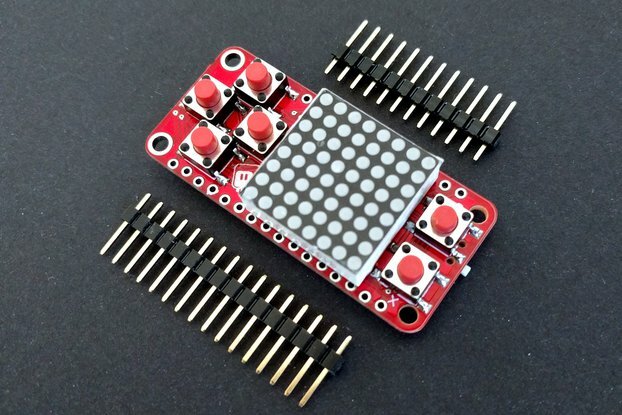 The tiny little speaker lets you play 8-bit WAV files (only one sound at a time, though). 890mAh Nokia BL-5B battery (not included). The battery is not included, you will have to get it separately. It's possible to use it without the battery, powered from USB, or use a different battery, but BL-5B is exactly the right size to fit on the back and provides enough power to play for days. Attaching the battery requires soldering. 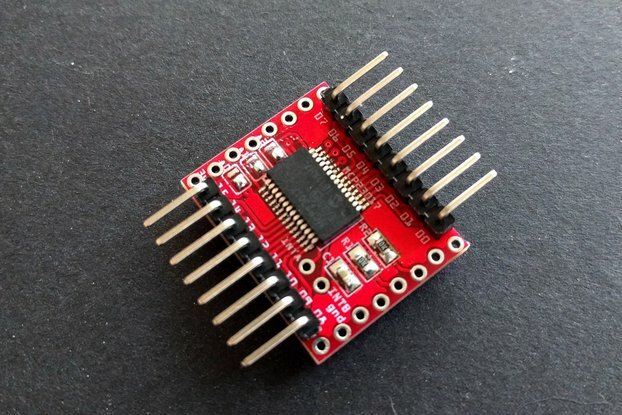 The display comes soldered, but not glued to the PCB — you will need to use the included two-sided tape to attach it securely. The greatest limitation for your games is the amount of free memory and the speed of display refresh — those two factors will probably determine what kind of games can be written.